Getting To Know: Dr. Farid Shafaie - ONRAD, Inc.
After receiving his Bachelor’s degree in engineering science, Shafaie went on to graduate with his Masters in engineering, attaining both degrees from the University of Delaware. He was drawn to the career because of his innate interest in science, but was also fascinated by the analytical way engineers’ minds worked. He went on to work for a few years as an engineer near the Washington DC area but he was always drawn to a career in medicine. Throughout his life, Shafaie has been surrounded by doctors. One could say that healthcare runs in his family. He was heavily influenced by his father (a psychiatrist), his sister and wife (both dentists) and uncle (an OBGYN). Constantly engaging in conversations about medicine, he always wondered if medicine was actually the right path for him too. Shafaie was never sure if he could incorporate his passion for engineering with his interest in medicine, until he went to a local medical school one day and everything changed. After taking the MCATs and scoring well, Farid Shafaie was accepted into the Eastern Virginia Medical School in Norfolk. Dr. Shafaie said he got lucky because at the time, the school was looking for more diverse applicants and his background in engineering was just the ticket. After receiving a scholarship to attend the medical school for practically free, Shafaie started to consider which specialty would enable him to use his knowledge in physics and engineering while utilizing his analytical strengths. When it came time to complete his residency, he decided on diagnostic radiology with an emphasis on MRI and Neuroradiology. After his residency, Dr. Shafaie completed a two-year fellowship in neuroradiology at the Mallinckrodt Institute of Radiology in St. Louis with a special interest in Neuro/MSK/Spine subjects. 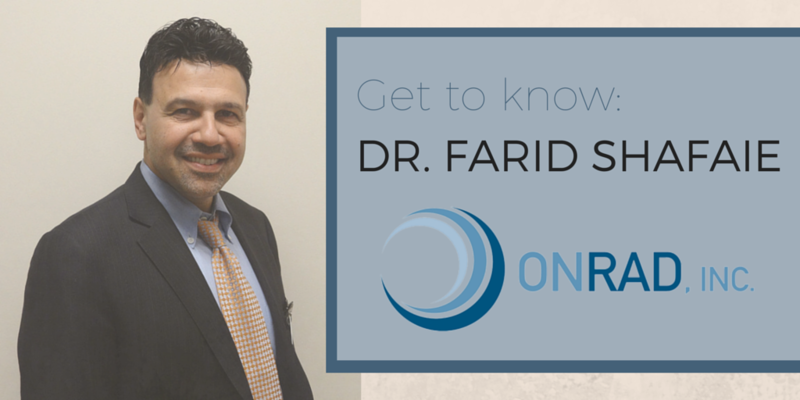 This hyper-specialized experience is indicative of Dr. Shafaie’s expertise and dedication. After working in radiology for almost 20 years, Dr. Shafaie has accomplished so much, but his job is never finished. He’s always really liked the concept of bringing quality health care to different parts of the world regardless of location. “You could be in a small village, in the Middle East, Africa or a rural city, but if you have Internet access, then you could have access to a quality physician,” Shafaie commented.  He recognized that having high quality, subspecialized radiologists available 24-7 to patients no matter their location, was something he wanted to achieve, which is how he became involved with Onrad, Inc.
Onrad, Inc. seemed to be a great opportunity for him because they were looking to grow radiology presence in the Midwest. They also had an infrastructure stacked with other subspecialized radiologists, which Dr. Shafaie believed was necessary in order to improve well-rounded support for his community. Now, Dr. Farid Shafaie is the Regional Medical Director of Onrad, Inc. and is the Chairman of Radiology Department at Presence Health St. Mary’s Hospital in Illinois. His mission now is to ensure that patients in the Kankakee, Illinois area know that they can get top-notch care without having to drive all the way to Chicago or another metropolitan area. In fact, recently there was a patient near the end of his life who had metastasis in his abdomen. His family was hoping to find a way to make him more comfortable in the last few weeks he had left, so he was transferred to a specialist in Chicago so he could get a G-Tube to help receive food directly into his stomach. Unfortunately, the team in Chicago said there was no way to do the procedure, so he was sent back home.